Japan’s education system is one of the top performers compared to other OECD countries. International assessments have not only demonstrated students' and adults' high level of achievement, but also the fact that socio-economic status has little bearing on academic results. In a nutshell, Japan combines excellence with equity. This high performance is based on the priority Japan places on education and on its holistic model of education, which is delivered by highly qualified teachers and supported by the external collaboration of communities and parents. But significant economic, socio-demographic and educational challenges, such as child well-being, teacher workload and the high stakes university exam, question the sustainability of this successful model. Policy makers in Japan are not complacent, and as Japan starts implementing its Third Basic Plan for the Promotion of Education (2018-22), they are carefully analysing tomorrow’s threats to Japan’s current success. 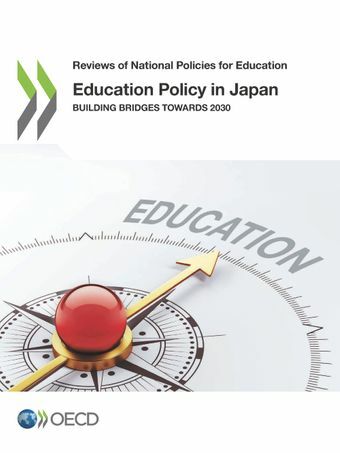 This report aims to highlight the many strengths of Japan’s education system, as well as the challenges it must address to carry out reforms effectively and preserve its holistic model of education. The ultimate goal is to ensure that the education system delivers the best for all students, and that Japanese learners have the knowledge, skills, attitudes and values they need for the 21st century.